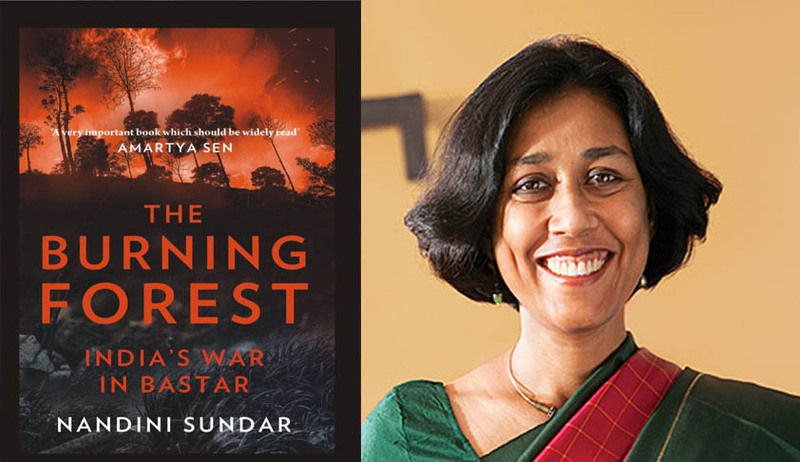 In her book, ‘The Burning Forest: India’s War in Bastar’, published recently, Nandini Sundar attributed the 2011 Supreme Court’s judgment in Nandini Sundar vs State of Chhattisgarh, going in her favour to the strong sense of the Constitution of one of the justices who delivered the judgment, namely, Justice B.Sudershan Reddy, and to his roots in Andhra Pradesh, which had given him a comprehensive understanding of the Maoist movement. Reading her book, one gets the impression that she was initially disappointed that the judgment had declared that the use of poorly trained, low paid SPOs in counter-insurgency operations violated their right to equality, compared to better trained security forces which suffered less fatalities. But she soon realised that the Court’s direction to the state to disband and disarm all SPOs, and stop using them in combat against Maoists, was its silver lining. In this interview with the LiveLaw, she answers specific questions which a reader may get after reading it. Q. In Salwa Judum, you observe that the Supreme Court played an important role, producing not only decisions but messages, and that the 2011 judgment is a powerful symbolic resource against vigilantism. But the conversion of Salwa Judum as Operation Green Hunt, in your own analysis, shows that nothing much has changed on the ground. What gives you reasons for optimism? A: The 2011 judgement, regardless of whether it was implemented or not, is a fine piece of judicial reasoning and argument, that will serve as an important precedent in all sorts of ways. Recently, it was invoked in a PIL to argue against state support for gau rakshaks. And while the situation in Chhattisgarh continues to be bad, the judgement provides a standard by which to show how much the state continues to flout the rule of law. At a time where every other institution – the media, political parties, statutory institutions like the NHRC, National Commission of Women, and even human rights organisations – failed to appreciate the gravity of what was happening, the judiciary was a beacon of hope. Right from 2008 when Chief Justice Balakrishnan said that arming citizens would amount to abetment of crime, the court’s observations have been important in showing the gravity of the problem. Q. Relying on Rosenberg's view in The Hollow Hope, you disagree that the courts can change the social landscape on their own through landmark court decisions. The courts, you say, can only effect social change when the state has a reason of its own to push a court judgment or there is powerful mobilisation in society in favour of those decisions. "Progressive judgments may invite so much flak that they may push the cause backward", you have observed in the last chapter. Does the 2011 judgment of the Supreme Court on Salwa Judum suffer from these inherent disadvantages? How do you think these can be remedied? A: The 2011 judgement did invite flak from sections of the security establishment and the BJP, who immediately worked to negate the judgement. But I wouldn’t say the judgement pushed the cause backward. That para was a summary of Rosenberg’s argument. The main problem is that the judiciary is unable to implement its orders in the face of government intransigence – and that applies to many cases in India, like manual scavenging, right to food etc. The court does not have its own police, for instance, to carry out prosecutions. In India, the judiciary does have contempt powers, but I guess they are hampered in applying them when it comes to government. The flak may have been a factor here, but that’s sheer speculation, because there are several other factors that could also have counted – such as the predilection of the judges who came afterwards. It’s a complicated problem, but one I hope that people will take up as an object of study and policy. It would be nice to see a systematic study interviewing judges on the use or lack thereof of contempt powers in cases of wilful violation by governments. Q: On the role of media campaigns, you observe that assessing its influence on the judgment is tough. But did the media play any role at all, so as to prepare the ground for the judgment, in your view? Or did the Court brave an adverse media campaign? A: The legal scholar Shamnad Basheer had sent me some academic literature from the US and UK on media influences on the judiciary, but even in those, the jury was out. One view was that the judges are more influenced by their peers than by the media. On the other hand, media influence is undeniable. I would be grateful if people pointed me to any studies on this issue in India. Systematic studies are required of how the media affects different levels of the judiciary, and how media influence works or doesn’t work for different categories of cases. But what is clear – as you can see from the chapter on the media – is that media coverage of the state-Maoist conflict has been overwhelmingly pro-government. So if the judiciary has taken an independent stand, it has done so on the basis of looking at the evidence. Q. Is the ban on the state support for vigilantism sufficient? What more is required to be done to make such a ban effective? A: The problem both with the 2011 judgement and the recent CBI investigation which charged 7 SPOs for arson in Tadmetla and other villages, is that it ignores command responsibility and the role of senior officials in sponsoring the lawlessness. The SPOs could not have acted on their own – it would be a prodigious feat for 4 people to burn 160 houses in one morning. Yet, the man who has admitted sending them out on these operations, Mr. SRP Kalluri, is not investigated or charged at all. When state support for vigilantism is banned, should the officials responsible for encouraging vigilantism not be tried before law? Q. How do you explain the Maoists' lack of interest in the case? After all, Salwa Judum was against them, and one would expect that they took some interest in it, even if they could not openly become parties to it. A: I suppose the Maoists see the case as irrelevant to their larger project, and the lack of enforcement just proves their point – that justice cannot be expected within the present system. Maoist engagement with the law would be another fascinating object of study for someone to take up, like media impact on the judiciary. My problem is that I see a hundred potential Phds/studies to be done, but nobody doing them. Even if anyone wanted to take up such topics, the government would not allow them. On the one hand, most of the Maoists’ demands are constitutional – for example, land rights, end to mining without people’s consent, minimum wages for agricultural workers and others etc. So they are enforcing the law, playing the role of the absent state – i.e. providing the protection that the poor need against their exploiters. Many people also prefer the Maoist method of dispute resolution because it is costless and speedy compared to the regular judicial system. On the other hand, there is a clear contradiction in their opposition to the death penalty when it comes to their own cadres and their enforcement of it for informers. It is specious to say they can’t run jails, and are therefore forced to kill. There is a militarism in their approach that goes beyond necessity. Q. To make the Utopian ending in your book's Epilogue, a reality, what needs to be done? Are peace talks, suggested by Justice Madan B. Lokur, on October 21, while hearing the case, a solution? Do you think peace talks are feasible, given the hostilities between the security forces and the Maoists? A: Peace Talks are feasible, and indeed the only way, and I am very grateful to the judges, Jutices Lokur and Goel, for suggesting this. There has to be a discussion on all issues: an end to impunity, reparations, release of all the prisoners, especially innocent villagers who are being locked up for no fault of theirs, land rights, mining and so on. But it is impossible to have peace talks, if the police continues to be on a lawless rampage, and governments in both the centre and the state support this. On October 23, after the CBI charged 7 SPOs-turned-constables, IG Kalluri held a press conference accusing the CBI of lying and said the houses caught fire on their own due to the heat of cross fire (scientifically a new and unknown phenomena). He also said I bribed villagers to depose, even though all of the violations had been reported in the press, much before I reached the villages. This was followed a day later by the armed auxiliary forces (former SPOs) carrying out rallies from police lines, burning our effigies in seven district HQ. They shouted slogans like goli maro. This kind of behaviour by the police is unprecedented and against police regulations and yet no action has been taken against them or their commanding officers. On October 26, Manish Kunjam, one of the petitioners in this case, was attacked at a press conference and the CPI office vandalised in full view of the police. Unless the atmosphere is made conducive, how can there be peace talks? Right now, with the approach being followed, all we will have is the peace of the graveyard, and I don’t think that’s what the judges had in mind at all.